Shiga Kogen is renowned for its outstanding powder, diverse ski terrain and spectacular panoramas. This vast area comprises 19 interlinked ski resorts and 52 lifts, all of which are covered by one lift pass, providing seemingly endless trails to enjoy Japan’s largest ski resort. Yakebitaiyama is the largest of the 19 resorts, and features the region’s premier terrain park and snowmobile area. It was also the site of the first ever Olympic snowboard race as well as the downhill and slalom ski events during the 1998 Winter Olympics. Shiga Kogen is also a registered UNESCO Biosphere Reserve, with the surrounding national park giving visitors ample opportunity for off-slope adventure such as a visit to Jigokudani Monkey Park, famous for its snow monkeys who love to bathe in the area’s hot springs. With the resort holding the highest point of any ski park (2307m), its altitude allows the resort to boast some of the best powder in Honshu. Like Kiroro (Hokkaido), Shiga too has a long winter season, stretching up to early May. Okushiga and Kumanoyu are particularly good if you’re looking for off-piste runs, but the resort as a whole has an abundance of long powder runs to make the most of, with a few backcountry tour options as well. 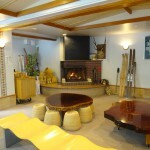 Families too, can enjoy the snow with the Ichinose Family Area. It is also popular for school trips and is an official holiday destination for the Japanese royal family. While there is no official village, the conglomeration of accommodation at the base of the mountain offer guests a wide range of options to choose from. Close by, are the towns of Yudanaka and Nakano and provide more facilities such as Onsen hot springs, shops, restaurants and alternative accommodation with an authentic local and traditional Japanese atmosphere. For those looking to experience the night life, it may pay to stay in Yudanaka, which has easy access to both several ski resorts (including Shiga) and Nakano, thus the ability to enjoy both the snow and the town.Yamaboku Wild Snow Park is another area close by, offering visitors 70% ungroomed terrain, powder, tree runs and CAT ski tours. Shiga Kogen lies at the centre of Jyoshinetsu National Park located in northern Nagano. There are several ways to get to Shiga from Tokyo. Shuttle buses depart from both Narita and Haneda airports straight to Shiga. Buses from Kanto city centres, such as Tokyo and Osaka are also available. It is also possible to get there from Iiyama Station on the same Hokuriku Shinkansen (1 hour 50 minutes) and then travel by taxi or shuttle bus, which takes about 50 minutes. If travelling from Osaka, take the Tokaido Shinkansen to Nagoya then, transfer onto the Chuo Main Line to Nagano Station. The journey takes about 1 hour and then another 2 hours 45 minutes respectively. A shuttle bus runs from both Nagano and Iiyama Station to Shiga Kogen. Transport from city centres/airports or alternative modes of transfer from Nagano or Iiyama Station to the resort can be organised or arranged. In the evenings, there are no shuttles or public transport from Shiga Kogen to Yudanaka or Nakano. (Local buses available during the day). It takes approx. 30 minutes to and from Yudanaka, with Nakano a couple minutes further. Organised transport to nearby towns are available at your convenience, so please contact us with your plans or queries. Shuttle transport between Shiga, Myoko, Nozawa Onsen and Hakuba is frequent and well-managed. Yamaboku Wild Snow Park is also close by. 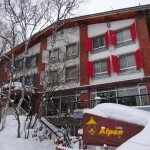 As the largest combined ski area in Japan, Shiga Kogen is mostly about skiing and snow activities. Most of the individual resorts that make up Shiga have kids’ parks and kids ski schools, on top of other snow activities such as snowmobiling and snow rafting. 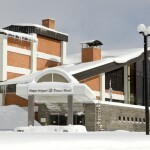 English backcountry and snowshoe tours are offered from the Shiga Kogen Prince Hotel West Bldg. 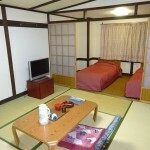 Shiga Kogen does not have a village and is instead comprised mainly of hotels and various types of accommodation. However, those desiring a short respite from the slopes, have a number of interesting day trip options available at their disposal. Yudanaka is an old onsen township and is famous for the nearby Jigokudani Monkey Park, with its hot-spring loving monkeys: a sight not to be missed! Near the monkey park you’ll find a number of Japanese ryokans as well as hot springs for people. Local buses to this area are available from the hotel (please use the Kanbayashi Onsen Snow Monkey Park bus stop to access the area). Culture buffs can take the local bus to Nagano City to visit ancient Zenkoji Temple that dates back to the 7th century. Matsumoto Castle, which was constructed in the 1500s, is also located in Nagano City. Both sites make for interesting cultural day trips that are easily arranged. 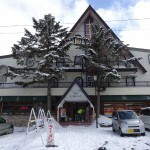 If you are planning on staying in Yudanaka there is also a chance to visit some of the smaller ski fields in the area. 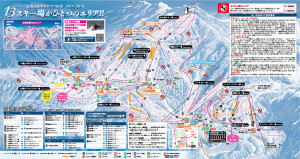 The main of these is Ryuou Ski Park, which is accessible with a free shuttle bus. It is a medium-sized park with a large ropeway and maximum altitude of 1080m. 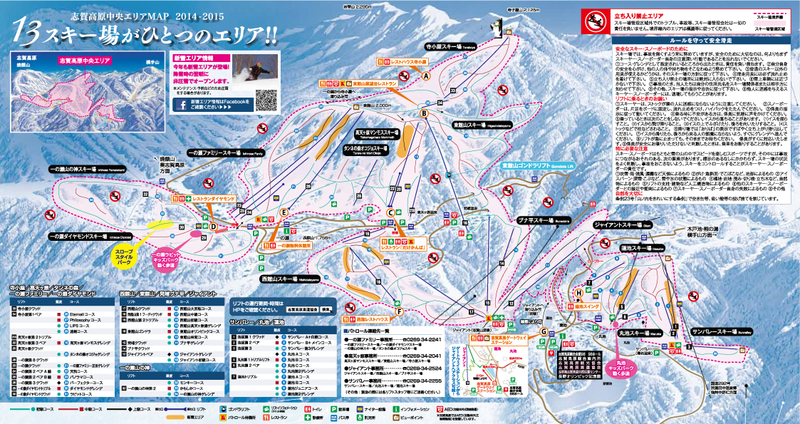 The free shuttle also stops at several other ski fields and provides a great means to explore the wider Shiga area. 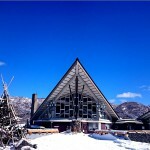 Each individual ski resort provides several restaurants and food stalls to enjoy. Hotels will all have their own individual food services, but for a more local touch, a trip into the nearby towns may be worthwhile. However, a lack of transport from Shiga into town during the evenings must be noted. A place where the sun creates a soft and gentle glow. A rich interior offers a relaxing ambience. Enjoy the high country of Japan,feel special in this place of peace and tranquility. Get away from the everyday bustle to spend time enveloped in the beauty of nature. Some of Japan’s best powder snow and refined hospitality await you. you will surely know how special the way time passes here. 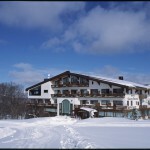 Located deep in the Joushinn-etsu National Park, where beauty is redefined with each new season, the Hotel Grand Phenix Okushiga makes the most of its abundant natural environment, a highland resort offering varied seasonal pleasures from spring through fall, and an excellent ski resort affording easy access to slopes of powder snow ( in 1 min.) in winter, it is the ideal venue for relaxation and contemplation. Ski area is Biggest in The Asian. We are small, not a brand-new,but you can feel really at home. Friendly and warm atmosphere. English OK! Ichinose Skiing Ground is directly in front of the hotel.The hotel faces the skiing ground.